Offered for sale is a Ford Sierra RS Cosworth, in white. 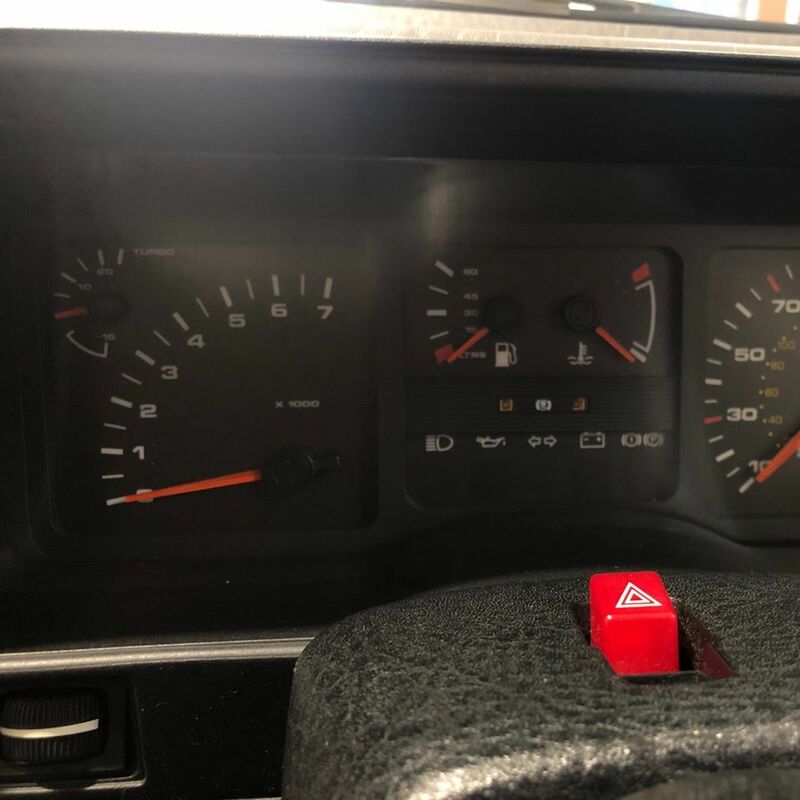 Having covered a total of 41,723 miles. 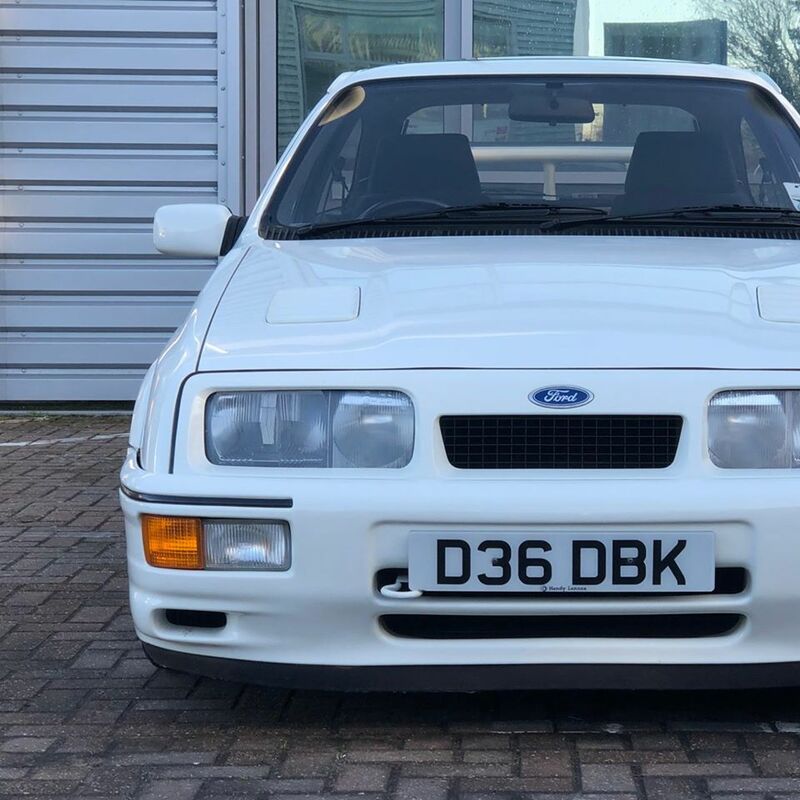 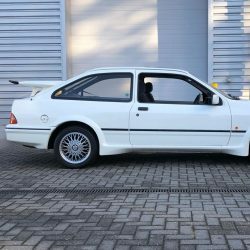 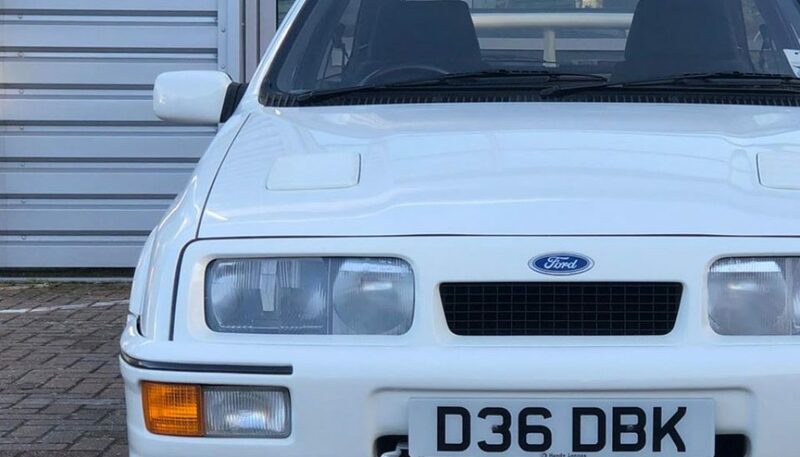 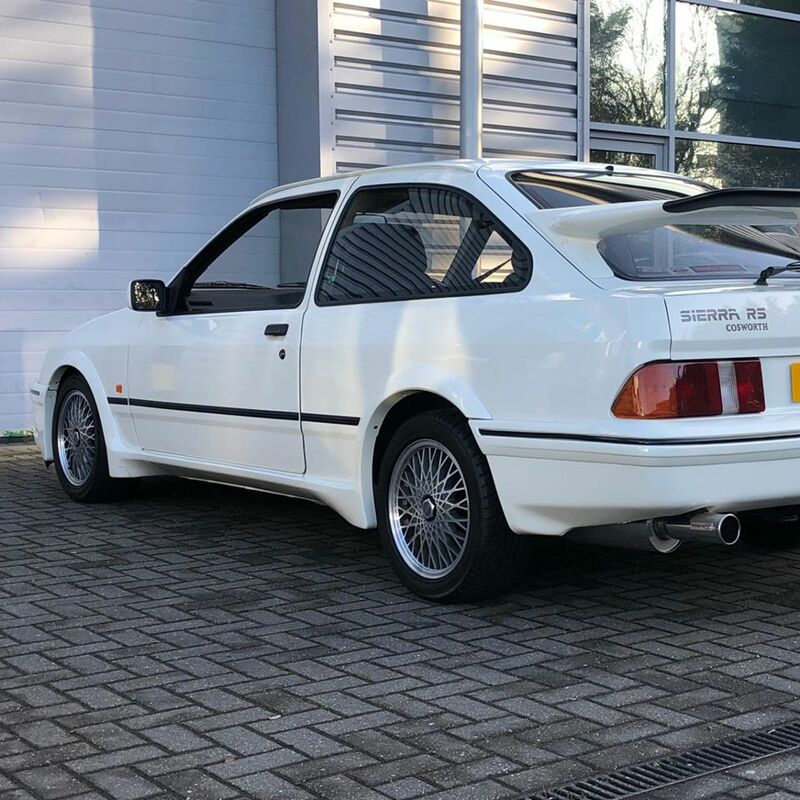 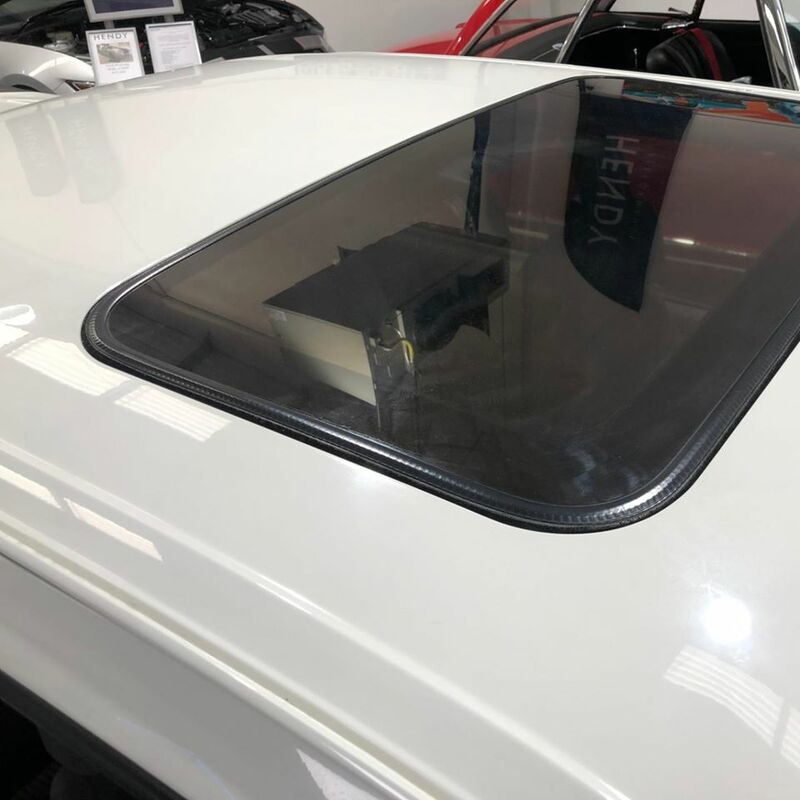 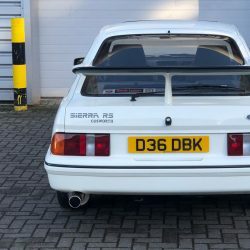 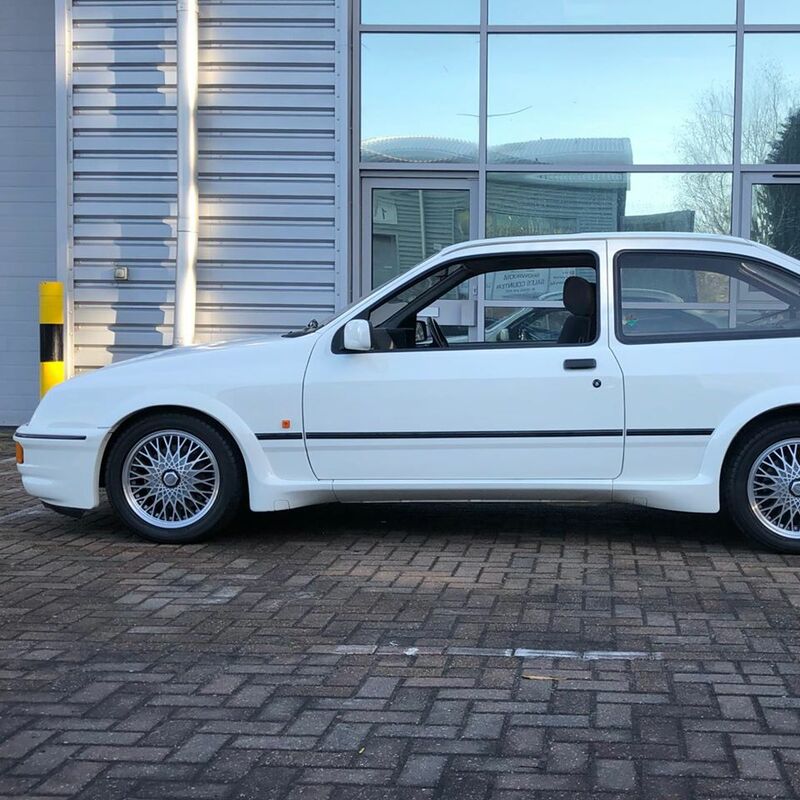 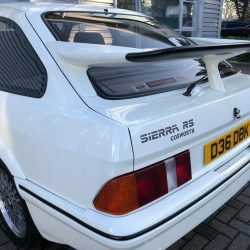 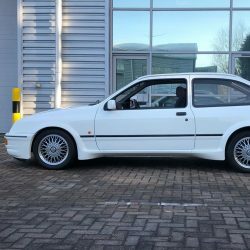 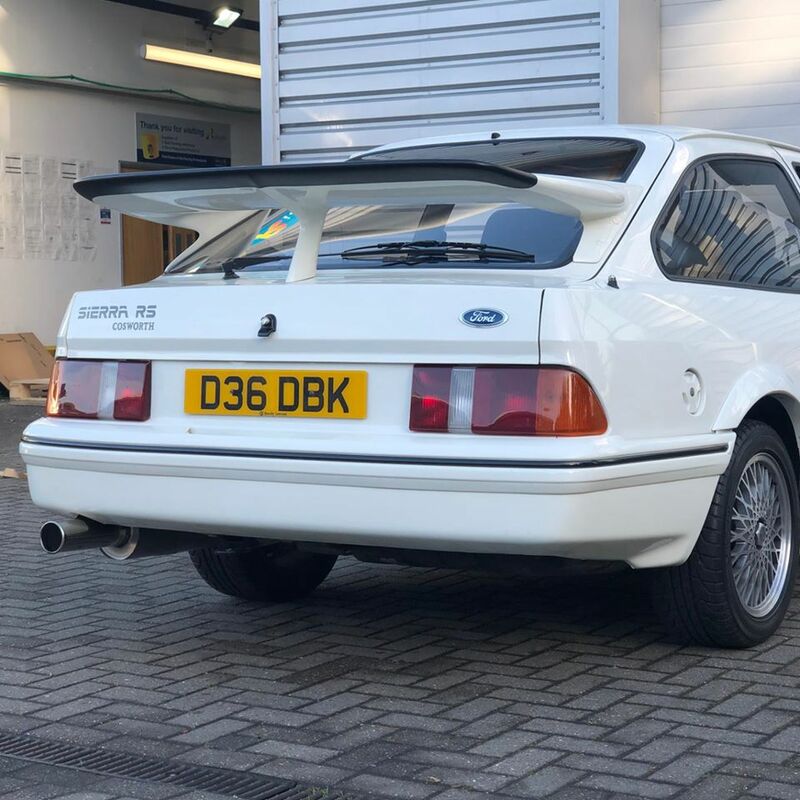 Hendy Performance are delighted to be able offer you, this very rare opportunity to own this Classic Ford Sierra RS Cosworth. 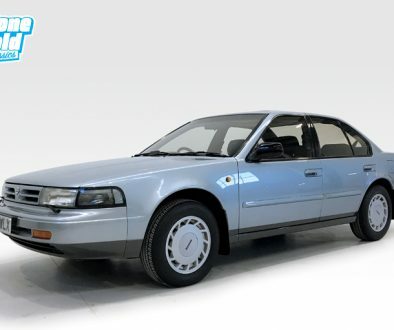 We have photographed this car and put on display, without us touching the vehicle in any shape or form. 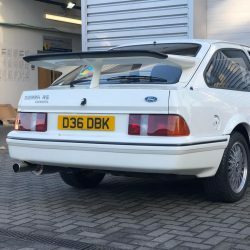 The car is 99% original, with just a Stainless Steel Exhaust added, as the standard ones don&apos;t have the longest life span. 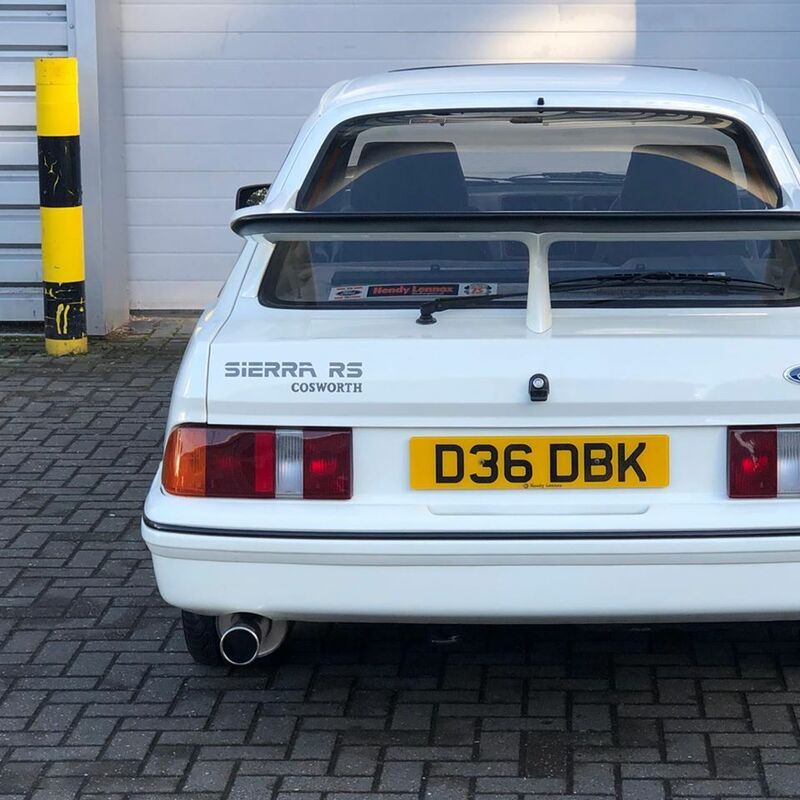 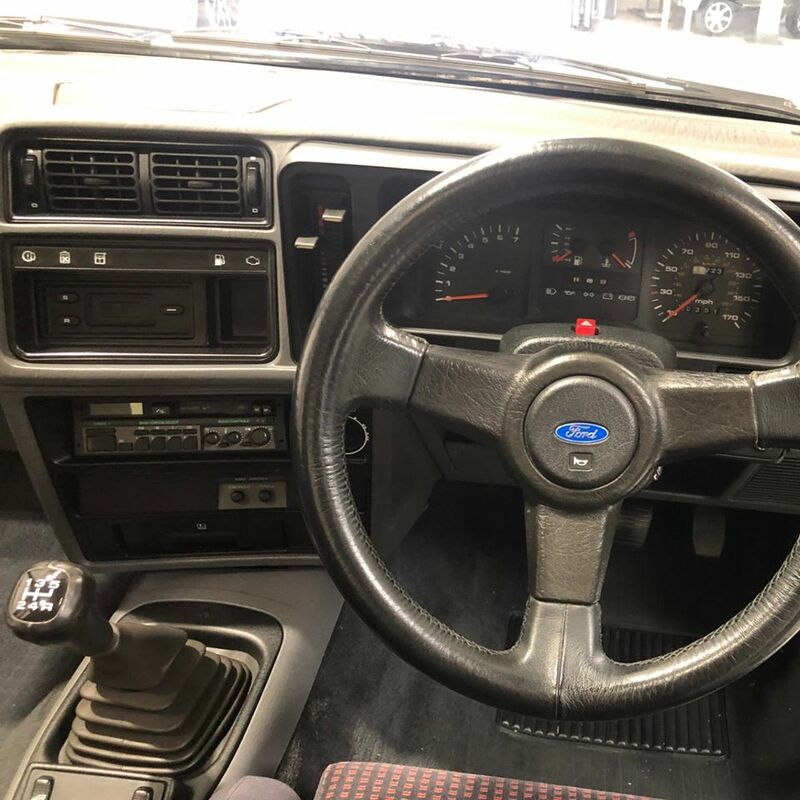 This RS was originally supplied by ourselves in 1986, with the original number plates and stickers still on the car and the owner kept the car until 2004 and has only covered couple of thousand miles since then, where it has been stored away in a warm garage. 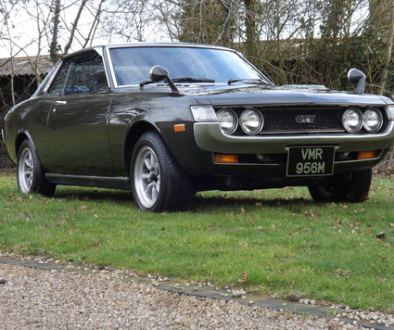 We have the majority of the MOT&apos;s the car as ever had, the original bill of sale and lots of receipts for work carried out over the years. 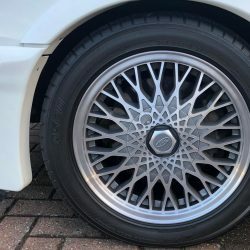 The car had a Service and Cambelt change in June 2018 with local RS Specialists Tremona Garage in Southampton. 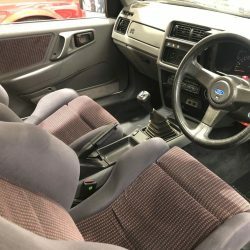 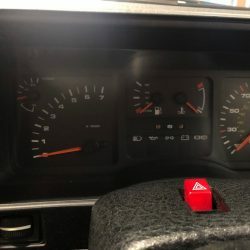 The inside of the car, still smells like the 80’s and is in fantastic condition, with only a slight sagging in the seats. 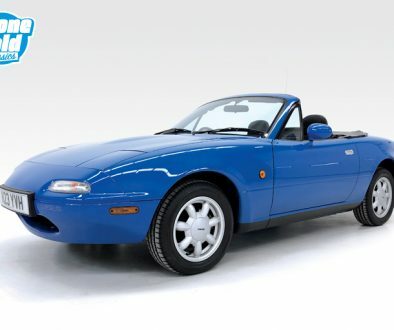 Pictures, really do not do this car justice, so if you would like to arrange to come and view this car and have the once in a lifetime chance of owning this classic, please do not hesitate to contact us. 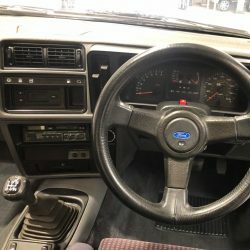 Please note, Test drives are not available on this car.